SINGAPORE - A Singapore-based team researching the most common type of liver cancer has been awarded a $7.5 million grant to continue its studies, it was announced on Wednesday. 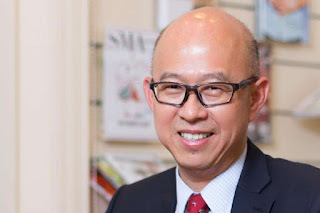 Professor Pierce Chow, a senior consultant surgeon with National Cancer Centre Singapore (NCCS) is leading a multi-disciplinary team comprising clinicians and researchers from several institutions to carry out in-depth studies on the genomics and immunology of liver cancer. A pilot study into the most common type of liver cancer, Hepatocellular Carcinoma or HCC, has found significant heterogeneity within tumours.This means different parts of the same cancer may have different genetic mutations or produce different immune response. It explains why current approaches to drug development in HCC have not been fruitful, according to Professor Pierce Chow. The team has been awarded a $7.5 million grant under the TCR Flagship Programme grant by Singapore's National Medical Research Council (NMRC). Its research will involve five centres from Singapore and the region and start in the third quarter of this year. The study will be conducted using tumour samples from 100 patients. The effort could enable doctors to predict the outcome of therapies and help them select appropriate treatments, said Prof Chow. "Through this translational clinical research, we hope to find an answer to the shortage of efficacious therapies and the challenges of bringing precision medicine to patients with HCC," said Prof Chow. The team aims to create customised therapies for individual liver cancer patients within the next five years. In Singapore, 500 new liver cancer patients are diagnosed each year. It is the fourth most common cancer among men in Singapore. Between 2010 and 2014, 2,254 men were diagnosed with it. It is less common in women and is not within the top 10 cancers in women. Between 2010 and 2014, 2,516 people died from this form of cancer.